Your K-1 fiancé visa is only valid for one entry to the United States. If you leave the U.S. on your K-1 visa, you will not be able to reenter. It’s traditional for newlyweds to travel on a honeymoon after their wedding. As a K-1 fiancé visa holder you are still subject to the travel restrictions of the K-1. Your K-1 is only valid for one entry to the United States. If you leave the U.S. on your K-1 visa, you will not be able to reenter. United States Citizenship and Immigration Services (USCIS) views your departure from the United States as abandonment of your K-1 status. This means you forfeit your legal status, any applications in process, and any fees paid to the USCIS. Can we Travel to Puerto Rico for our Honeymoon? 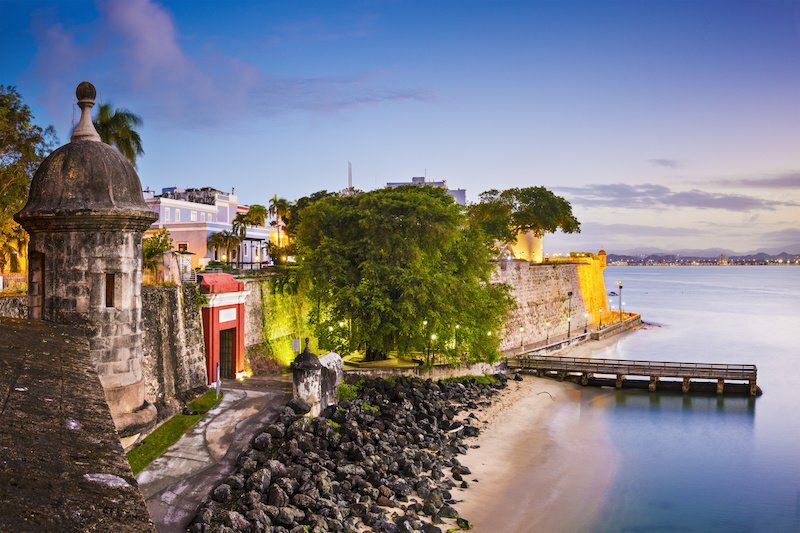 Puerto Rico is a U.S. territory and a popular honeymoon destination. The travel restrictions on the K-1 visa maintain that you cannot leave the United states. Because Puerto Rico is a territory, USCIS does not view it as a state. This decision also applies to all other U.S. territories, including Guam, the Virgin Islands, and American Samoa. Border authorities have wide discretion when deciding whether or not to allow a person into the U.S. To avoid the risk of losing your K-1 status, and your ability to receive Permanent Residency, it’s best to avoid traveling anywhere outside of the 48 contiguous United States. Even a trip to Hawaii or Alaska involves some risk. If, for some reason, your plane or ship makes a stop in another country, there is a chance a border agent will not allow you back into the U.S. When is it Okay to Travel Abroad? After the initial 90 day period allowed by the K-1 visa you are required to file for an official Green Card. To do so, you must file forms I-485 and I-864 (among others) and participate in a naturalization interview. Leaving the country during this time may result in you forfeiting your entire application process. Since the money is non-refundable, this would essentially leave you out several thousand dollars and barred from reentering the country. In order to reenter, you would need to start the entire immigration process again. Normally, the only way to qualify for Advance Parole is if you need to leave the U.S. for “urgent humanitarian reasons” (such as the death or serious illness of a family member), or for the furtherance of a “significant public benefit” (business reasons or certain emergency situations). Further, once you apply for and receive your Green Card, you are able to travel outside of the U.S. without Advance Parole. Green Card holders do not have any of these travel restrictions. Once you receive your Green Card you may travel outside the U.S. as a normal resident. However, if your trip will last more than one calendar year, the USCIS may ask for additional paperwork. Advance Parole allows you to leave and reenter the United States one additional time on your K-1 visa. This is because Advance Parole grants you a single reentry permit. You must apply for Advance Parole by filing the form I-131 with the USCIS. The current fees for K-1 visa holders who have applied for an adjustment of status is $660. If you have not yet applied for adjustment of status via the I-485 form you are not eligible for Advance Parole. You are not guaranteed to receive approval for the reentry permit after submitting the I-131. The processing time is around three months. As mentioned above, Advance Parole is usually only available for things like the death or serious illness of a family member. 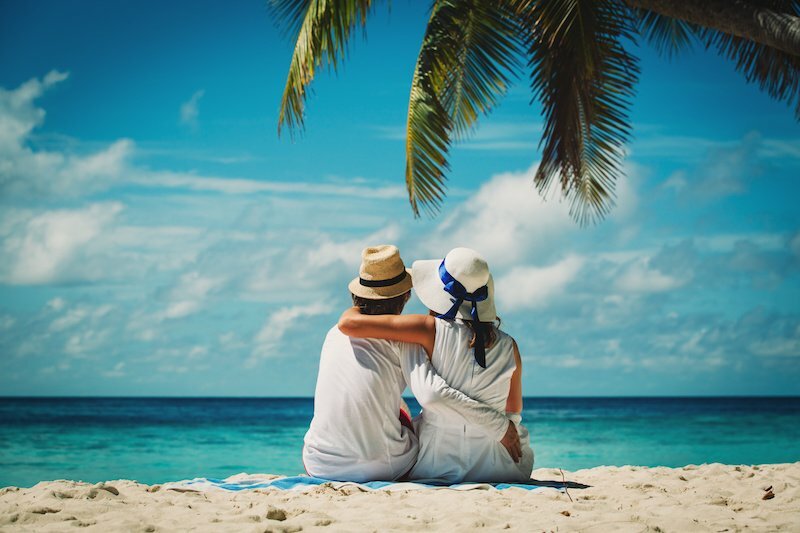 You may try to get Advance Parole in order to travel abroad for your honeymoon, but there is no guarantee it will be granted. These days, we recommend that you remain in the U.S. until you have your Green Card if at all possible. Border patrol is more strict than in the past and we advise you to avoid taking any unnecessary risks. If you decide that you have to leave the contiguous United States for your honeymoon while your Green Card application is pending, we definitely recommend that you speak to an immigration attorney first. What if We Leave the United States Without Getting Advance Parole? As a general rule, if you leave the U.S. while your application for adjustment of status is pending, USCIS considers your application abandoned. You will not be able to reenter the U.S. Further, you will lose any of the fees you’ve already paid to the USCIS. Example: Horacio and his alien fiancé Abril win a contest for a honeymoon cruise to the Bahamas. 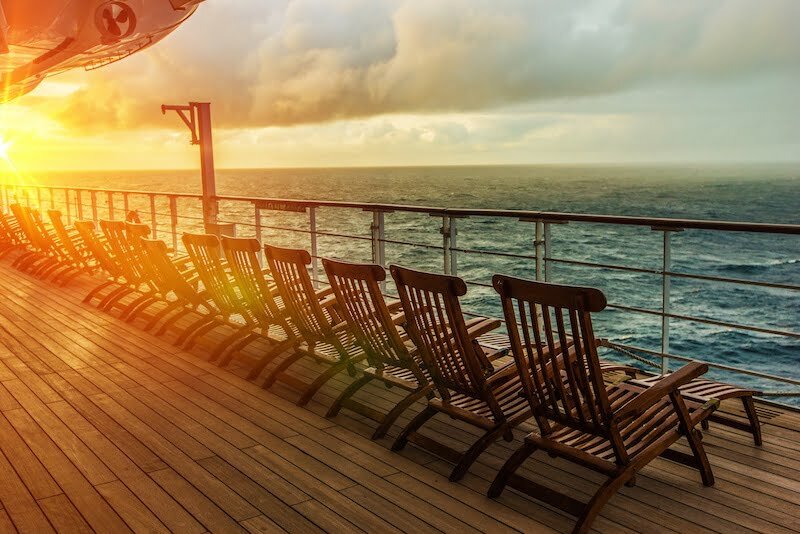 The free cruise is only available for one week, and it is before Abril is eligible for adjustment of status or Advance Parole. They decide to go on the cruise and leave the United States without getting Advanced Parole for Abril beforehand. Upon return to the United States, Abril is not admitted to reenter. There is an exception to this rule, but it would not apply to honeymooners. If you have a K-1 visa and are forced to leave the country for circumstances outside your control, you can file for a new visa. An example of such a situation would be a sudden death in your family back home. K-1 visas allow for a single entry into the United States for the sole purpose of getting married. If you leave the U.S. before you have your Green Card a border agent can deny you entry back in. During the K-1 process it’s best to avoid leaving the U.S. until you actually have your Green Card. If you have any questions about the K-1 process, or decide that you need to leave the U.S. and have a K-1 Visa, contact an experienced immigration attorney immediately. Failing to do so can set your naturalization process back months, if not stop it entirely. What is an Individual “Merits” Hearing?